Be part of Canada’s largest heritage conservation learning and networking event. The annual National Trust Conference is Canada’s largest event for professionals, practitioners, academics, and volunteers engaged in regenerating and saving our heritage places. This is your opportunity to meet and be inspired by the 400-plus participants from across Canada. Heritage is an energy producer that infuses Canadian communities with cultural and economic vitality, sparks new investment, and ensures their long-term sustainability. The 2015 National Trust Conference will explore how heritage energy can turn places around, empower people, and create opportunities. This year, we are pleased to announce the broadest range of workshops we’ve ever mounted: from fundraising and organizational governance, to brick masonry conservation, heritage real estate development, and the digital documentation of heritage buildings. We’ve also assembled a slate of inspiring keynote speakers that will introduce you to cutting-edge heritage from around Alberta and the globe: from heritage thinkers and developers to internationally acclaimed fiction writers. Indigenous cultural heritage will have a strong presence throughout the conference, particularly at the ground-breaking pre-conference event, MOH-KINS-TSIS │ Calgary Indigenous Heritage Roundtable. Calgary has a rich Indigenous heritage with many places of sacred and cultural significance – from Nose Hill to Paskapoo Slopes. And yet, these important places are rarely protected by provincial legislation or recognized by municipal bylaws and polices. MOH-KINS-TSIS │Calgary Indigenous Heritage Roundtable aims to open a dialogue and to find solutions to this gap in knowledge and protection. The Historic Resources Management Branch of Alberta Culture and Tourism is responsible for managing impacts to historic resources in the province, including archaeological sites, fossil localities, heritage buildings, and historic places of cultural significance to Indigenous communities. In addition to ensuring the careful management of Alberta’s embodied heritage, the branch also engages in a number of outreach activities to promote greater appreciation for the remarkable depth and richness of the province’s past and will be participating in the National Trust Conference. Speakers in the session will explore a range of topics, including: how the branch’s regulatory processes uncovered the Quarry of the Ancestors, a remarkable archaeological site that illuminates one of the most intensive ancient uses of the boreal forest yet identified in Canada; how the visual arts can be used to create compelling and dynamic evocations of Alberta’s history; and how the branch engages with Indigenous communities to record and preserve historic places of cultural significance. The National Trust for Canada is a national charity created in 1973 that inspires and leads action to save historic places, and promotes the care and wise use of our historic environment. In August of 2015 members of the Archaeological Survey of Alberta undertook fieldwork in Jasper National Park and Mount Robson Provincial Park. This work had a focus on ice patch archaeology – that is, surveying melting alpine ice patches to recover ancient cultural and natural material revealed by retreating ice and snow. The video below showcases this fieldwork and explains its importance. A more detailed blog post will follow in the next few weeks to provide more information about this important initiative that was spearheaded by our Northern Archaeologist, Todd Kristensen. Enjoy! 00044 from Courtney Lakevold on Vimeo. The first steps out onto the dome of the beehive kiln are a bit unnerving, with only a thin shell of tightly-fitted bricks supporting a small group of us above the void below. Domes structurally similar to this have been around since antiquity – many notable examples still survive – but it’s reassuring to know that scaffolding inside the kiln will prevent a painful and possibly career-ending collapse. Kiln No. 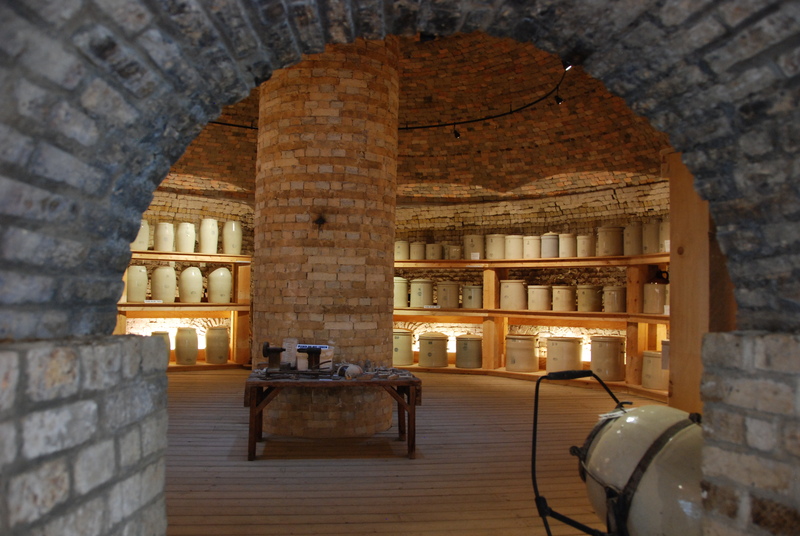 2, one of four historic beehive downdraft kilns at Medalta Potteries, is a circular drum roughly ten metres in diameter with brick exterior walls surmounted by the dome and a tall central stack. 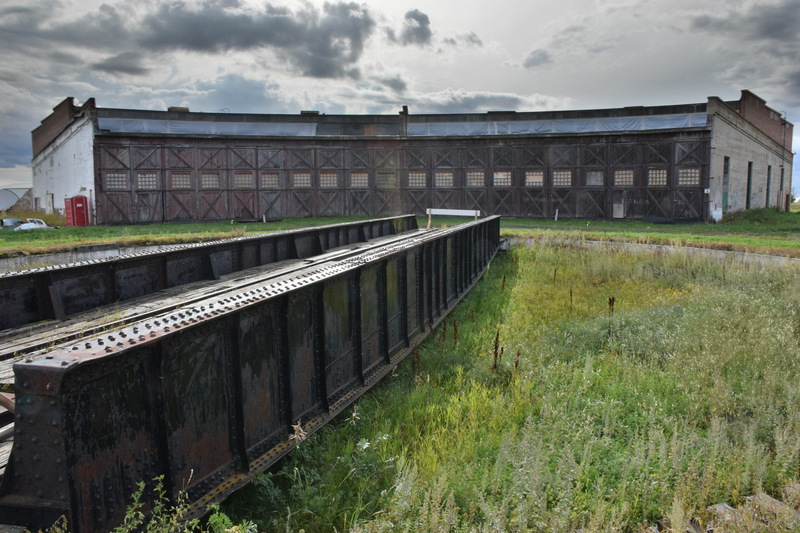 Encircling the walls are wide adjustable bands of corroding steel which held the kiln together as it expanded and contracted and attest to the rigours of the firing process. Medalta’s beehive kilns historically fired a wide range of ceramic products and now serve as distinctive classroom and exhibit spaces. Beehive dome interior, Medalta Potteries, 2011.